The Soul Taker is a potent little drink featuring vodka, tequila and amaretto. 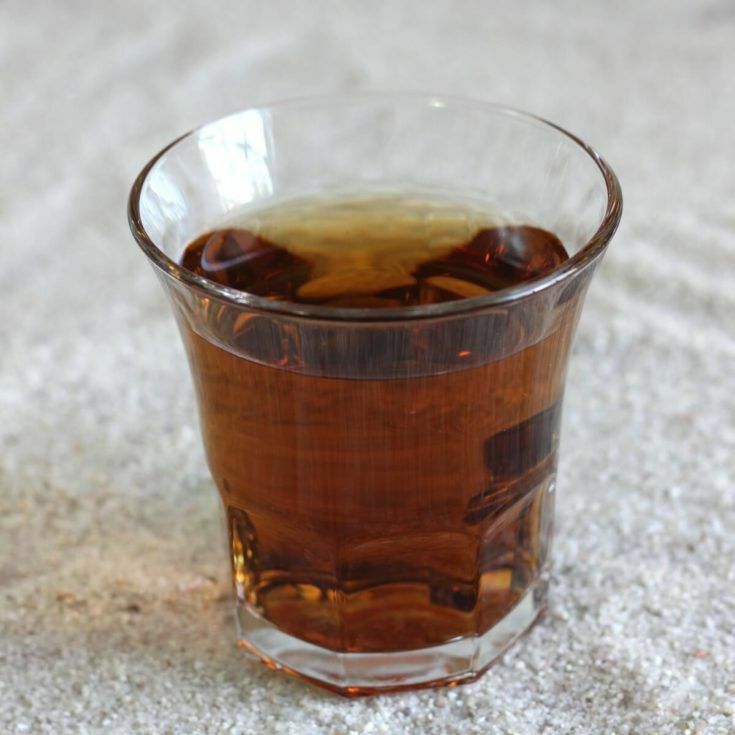 The amaretto smooths the rough edges of the vodka and tequila and adds a little sweetness. It’s not the most exciting or dramatic looking drink you’ve ever seen, it is? It’s just kind of brown. A lovely brown, mind you, but it lacks the drama of, say, a stunning bright blue cocktail. That’s why I prefer to dress it up like it’s Halloween or Day of the Dead. When a drink isn’t gorgeous on its own, you can always give it a special glass. See? All you need is a cool glass, and you turn a plain brown cocktail into something funky and exciting. And yes, this drink is great for a Halloween party. Because the recipe calls for equal parts of each ingredient, you can make it any size you like. That means it can be a fun shot drink for parties, too. This drink can be a bit of an acquired taste for some, but it’s one of those where the first sip is interesting enough that you want to take another just to see whether you like it or not. The Soul Taker grows on you over time. Remember, it’s all alcohol. The first two ounces are hard liquors – vodka and tequila. Amaretto is lower proof, being a liqueur, but this is still closer to a double than a standard drink. That’s something to keep in mind while enjoying responsibly. One of the great things about this drink is that it’s so easy to make. Just pour and stir. Even if you’ve had a couple, making the third won’t be beyond your abilities. The Soul Taker is an easy little drink featuring vodka, tequila and amaretto. It can be an acquired taste, but it's a lot of fun. Pour all three ingredients into an old-fashioned glass.